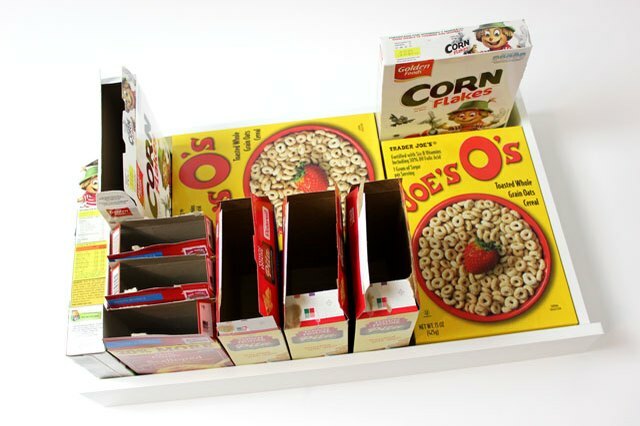 After you've collected an assortment of boxes of different sizes, arrange them in your drawer to see how they fit. Stand boxes upright to create smaller organizers. Place some of them on their sides for longer, thinner compartments. 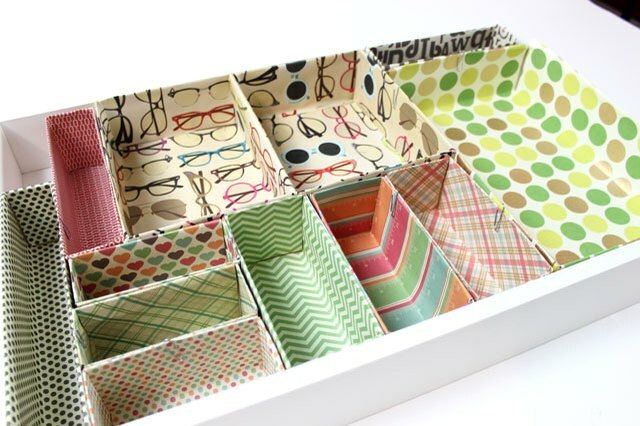 And, if you have room, place one or two face down for larger compartments that can hold papers and magazines. It is highly unlikely that your boxes will fill out the drawer perfectly, but that's all right. Measure the height of the drawer and cut the boxes to this height using a hobby knife. If any of the seams come apart as you're cutting, just tape them back together. Do not worry if your cuts are uneven or frayed – they will be covered by paper. that will cover the bottom plus the two main sides of the box with alittle bit of paper extending over the top. crease the paper along the inside edges. glue stick to the back of it and adhere the paper to the box. 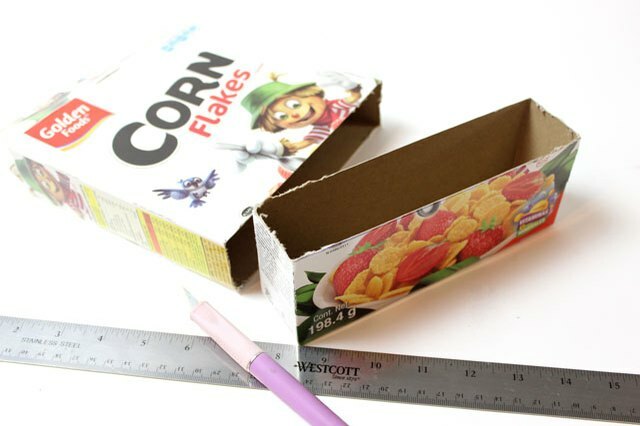 Cut a piece of paper that will cover the ends of the box so that half the paper rests on the outside and then folds over to the inside. Crease the top fold of the paper with your fingers. 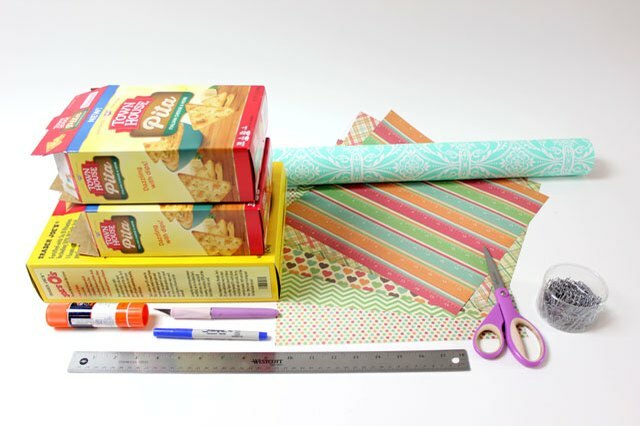 Remove the strips of paper, apply a glue stick to the back and adhere the paper to the box. Cut two pieces of paper that will cover the front and back of the box. 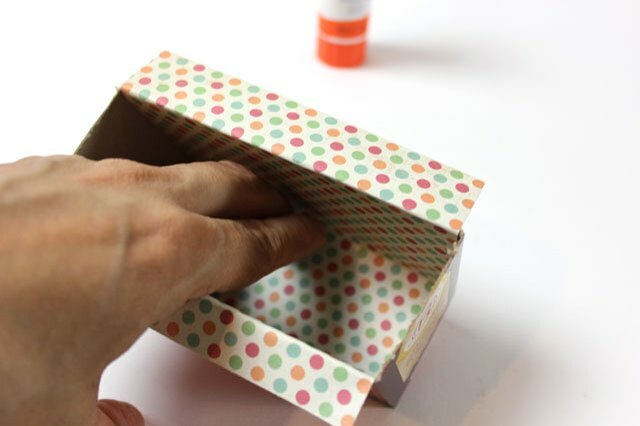 Apply the glue stick to the paper and adhere it to the box. 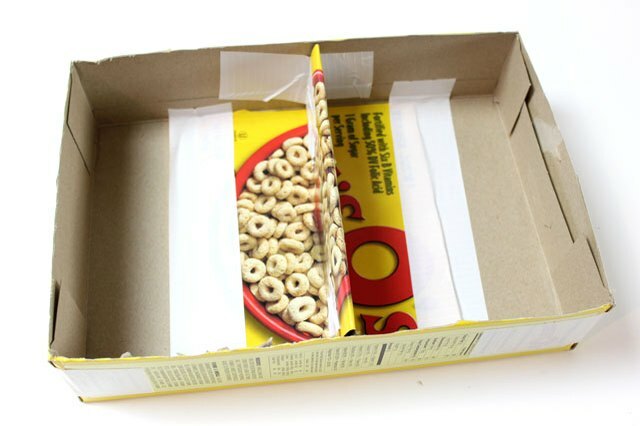 You will not need to cover the bottom of the box, as no one will see it. 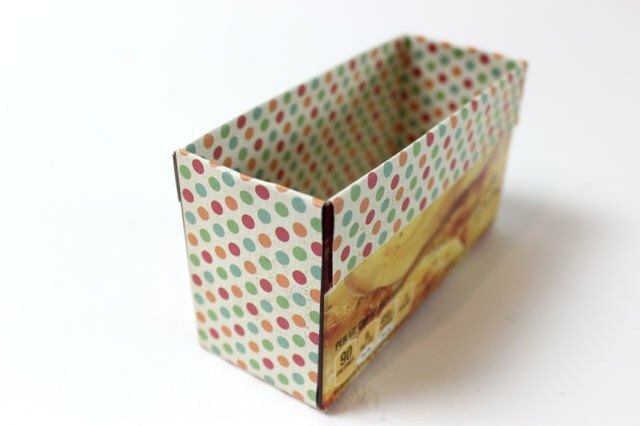 If you have large boxes that you would like to divide into smaller compartments, take the section of the box that you've cut out and bend it to create a divider. 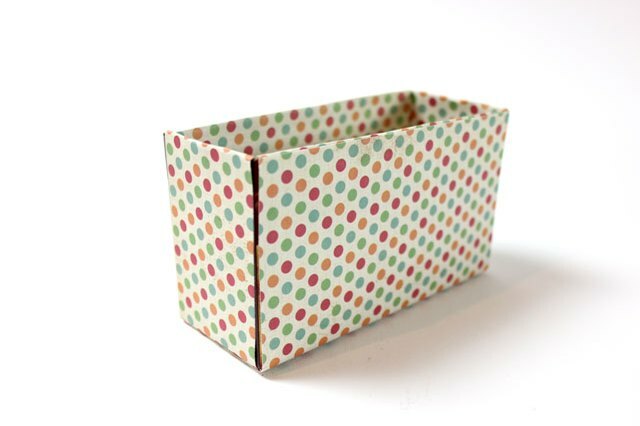 Tape it to the box with duct tape and then cover it with decorative paper. 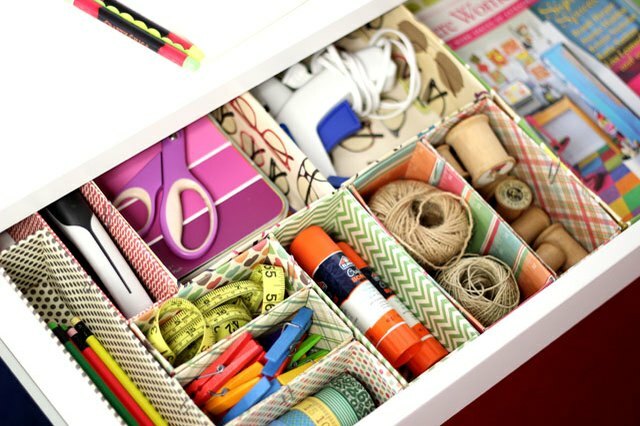 Place all your completed organizers in the drawer. Now it's time for the fun part: fill the organizers with your work supplies and pat yourself on the back. 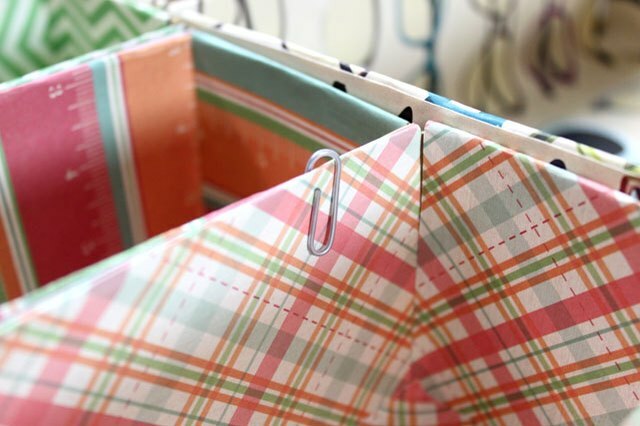 To keep the compartments from shifting, use paper clips to attach them to each other.